UNISELL 2000 LTD - ЮНИСЕЛ 2000. Manufacture of DRO and linear scales. NEWALL. British company "Newall Measurement Systems Ltd." is well known around the world for their DRO packages and most notably unique inductive Spherosyn ball scale technology with IP67 protection. Spherosyn scales work in harshest enviroments and require no maintance. 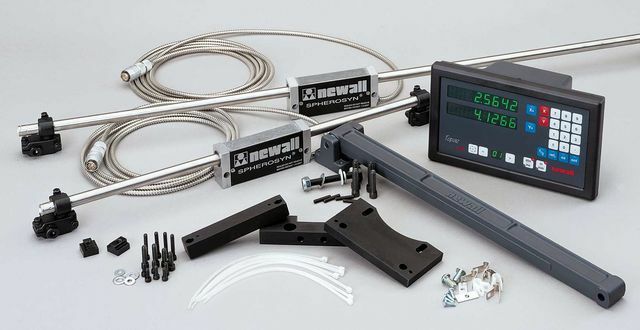 Newall DRO packages are ideal for retrofitting on old manual machines and digital scales are unbeatable for CNC applications where linear encoder failure is not an option. Scales are available in length of upto 12000 mm as one peace and longer in modular form. Wide range of supported signals allows easy and direct replacement of old broken optical linear encoders and magnetic scales.